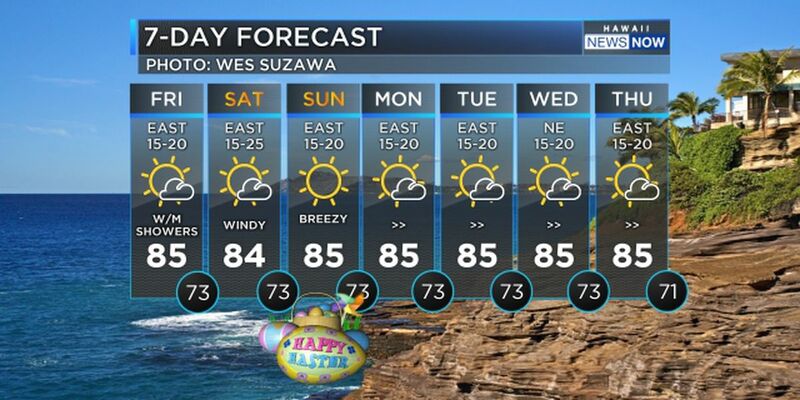 HONOLULU (HawaiiNewsNow) - We have so much to be thankful for when it comes to weather here in Hawaii Nei. 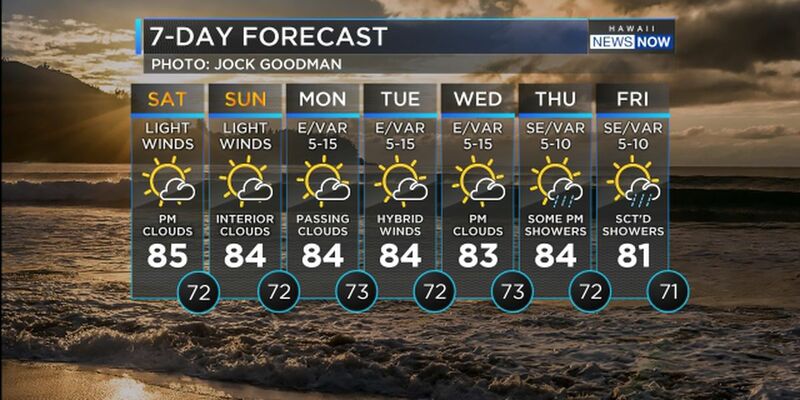 The pleasant weather trend will continue as we head into the rest of the holiday weekend. 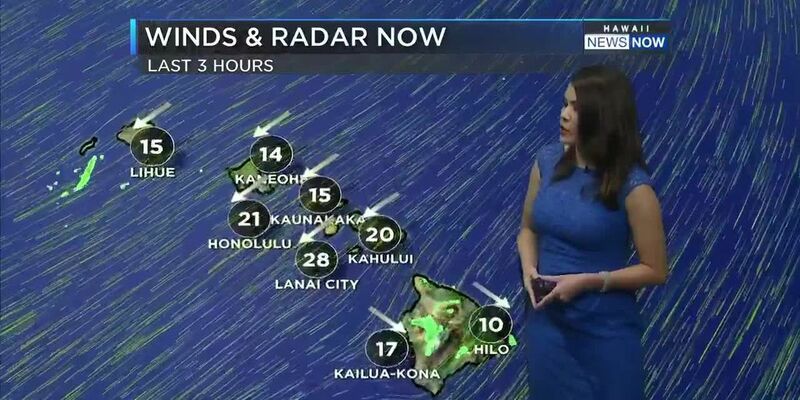 Light winds are taking over as a weak front parks itself just to our north and interrupts our trade wind fan. We will continue to see slower winds through Monday. 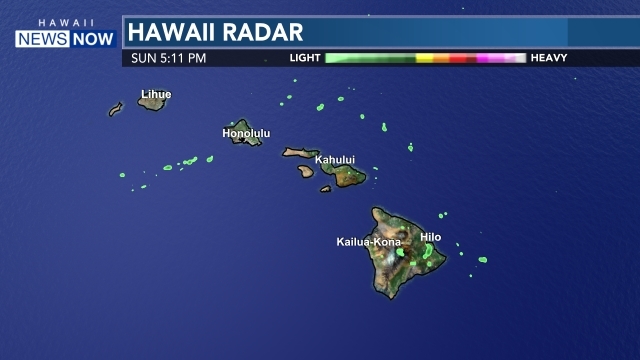 It is failry dry, but at times we will spot a few passing showers on the radar. The big weather story will be the monster swell this weekend. The Jaws Challenge is under a Yellow Alert due to the possibility of 35 ft waves on Monday. Stay tuned.